How to put background music on your video blog legally and cheaply? Where can I get the Music? How to manage your music? As you know, the only difference between a vlog and a traditional blog is that the former is distributed in video format, while the latter is shared through writing. 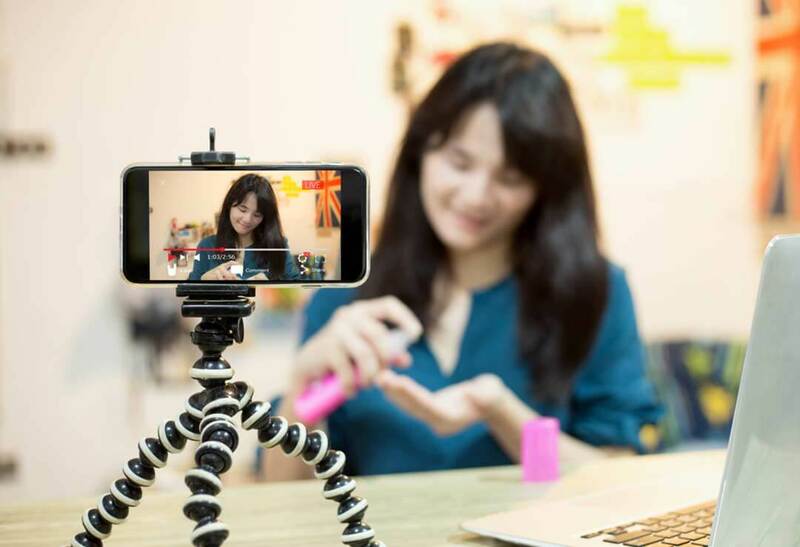 In recent years, the growth of platforms such as Youtube has allowed these video-blogs to become an increasingly common practice, to the point that many vloggers are already engaged in this activity in a professional manner. The Youtube Partners program allows users to monetize videos and earn a lot of money with them. In 2013, for example, the highest paid vlogger had a minimum revenue of $720,000 for that same year… and that was several years ago! As you know, music is a fundamental element for any video and even more so if one of your goals is precisely to make money with them. So, if you’re thinking about creating a new vlog and have some doubts about how to manage this important aspect, I recommend that you continue reading this article, I’ll give you plenty of useful tips! WHY SHOULD YOU BUY LICENSES AND NOT USE FREE MUSIC? Most songs are protected by so-called copyright. Request permission from the record company that owns the music. Obtain the respective licenses of use. The first option is very impractical, as you will probably not be answered or you will be asked for a lot of money, so you will opt for the second way. However, there are some who decide not to get any license or permission and use songs downloaded for free from the Internet in their vlog or project. Division of the revenue generated by the video between the author of the video and the original artist of the song. 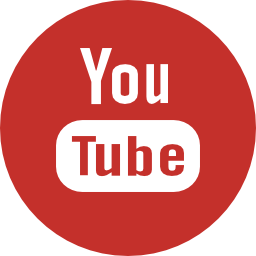 Placement of advertising in the vlog without your authorization. Restriction of the video in certain places or countries. Blocking content on certain platforms. And this would happen in the best of cases, as legal action could even be taken against you, although that’s not very common. You can never cheat on the Content ID. This term is used to refer to the algorithm used by Youtube to detect misuse of visual and audio content. When we publish something on Youtube, this publication generates a computer trail in the form of an algorithm. In this way, all the material (videos, images, music, voices…) uploaded to the platform is indexed. As soon as there is a coincidence between algorithms, an alert is sent to YouTube’s control systems, which will notify both the offender and the injured party of the improper use. Therefore, it is not that there is a person or a group of people who are constantly watching, but we are talking about a computer system and, obviously, because it is automated, it’s crazy efficient. WHERE TO BUY THE RIGHT KIND OF MUSIC? Having made clear the unfeasibility of using music without obtaining the corresponding license or permission, and even more so if what you want is to monetize your vlog-, I’m going to present you the most recommendable options to obtain music and be able to use it for your videos in a totally legal way. Pay a composer to create exclusive songs for your videos. Use music under free Creative Commons licenses. If you opt for the first method, you must know that the cost is usually quite high. As far as the second option is concerned, it usually won’t work for you, as most of these songs can’t be used for monetized projects. So I will focus on the third option, as for the creation of a vlog is the most recommended. is a platform that has a library with more than 300,000 songs. Large number and genres of songs and sound effects. All music is royalty free. Constant updating of the music library. In addition, if you want to test the platform without any commitment, they are now offering a trial period of 30 days completely free of charge. Envato Elements is another good option if you want to have unlimited downloads of songs and sound effects for a very cheap monthly subscription. In addition, the music search system by genre of this marketplace is very effective and easy to use. If you have a low budget, you do not have to misuse the music in your videos, as the same Youtube platform offers a large library where you can find music completely free. However, the platform can make some requests in exchange for the use of its music. Royalty-free music: they don’t require anything in return. Free music with author citation: the authorship of the music must be written in the description of the video by means of a citation established by Youtube. Free music with advertising: allows the platform to place ads on your videos in exchange for the use of their music. As you can see, the most recommended songs for a vlog would be royalty free. However, these are not unlimited. Also, if you’re creating your own vlog to earn money, what better than using unique songs that are difficult to find in another video. One of them is to generate more realism. The use of certain music can increase the sensation of living the scene in-situ in the same user. Another possible function that music could play in your videos is to create feelings. 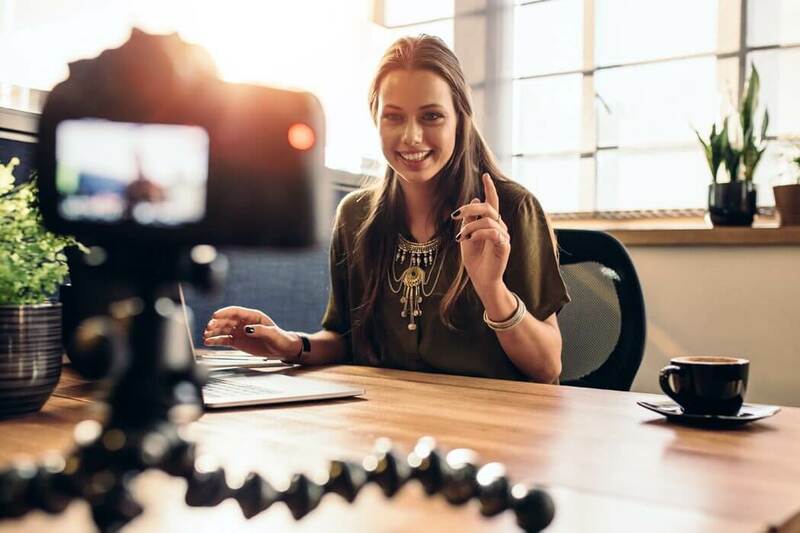 And it doesn’t matter what kind of vlog you want to create, because even in the most objective video blogs, which are simply intended to inform, we might find a feeling to convey: credibility. Music is also capable of building an environment. This is usually the most recognized function of background music, since as its name suggests it serves to create a background, a situation or a context, whether real or fictitious. Finally, music is also capable of provoking in the user a more active and participative attitude. This participation of the users in front of the video in question is vital for any vlogger, since it is through this attitude that they try to earn money. In fact, if you look at most vlogs, when the content in question has finished, the author always devotes a few seconds of his video to ask for “Likes” and subscriptions to his Youtube channel. And during that short period of time, a piece of music usually sounds. 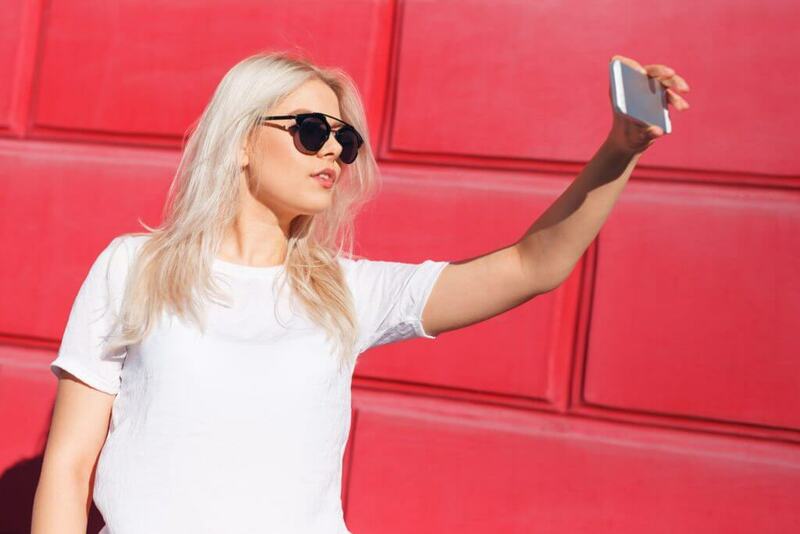 It’s no coincidence, as vloggers use it precisely to encourage visitors to interact with their videos. The visual background (even more important if you want to make a chroma key). The lighting (it is essential to opt for artificial light and avoid shadows). The audio (we highly recommend using high-quality microphone). And a very important part and at the same time one of the most complex of the editing process: music. First of all, you must be very clear about the role you want music to play in your video. Music may be able to give specific information very important for the user to follow the plot of the video, but it is also possible that its function is limited simply to have something in the background and not only silence. In relation to that function, the volume of the music must be adjusted. The more important the function of the music, the louder the volume. However, you should not overdo the volume, otherwise the effects of the music could become counterproductive. Many times, if the background music simply has a background function, that is to say, a bit more secondary, it is very appropriate to maintain a lower volume so that it is not so noticeable and so that its effects on the spectators are more unconscious. If we were talking before about the camera, which obviously has to be a good one, the same happens with music. These melodies cannot be just recordings, because the final result of the video suffers. What you should do is opt for music with good professional sound. Obviously, you will have to pay for a subscription, but considering the large amounts of money you could earn offering a quality video, this turns out to be an investment. Remember, the best options are Epidemic Sound or Envato Elements. When music is played in a video, especially when it is in the background, both the visual and the musical narration must be in perfect harmony. So, if you have to make any adjustments to square both narrations, such as pausing or trimming the music, don’t hesitate to do so. Also, if the background music has a more secondary role, people won’t even notice those editing touches. Music plays an important role in splitting sections of a video. It is very important that the structure of this one is very clear to the spectators since this way possible confusions will be avoided and also the communicated message will be transmitted with greater force. A very important technique when dividing the same video into different parts or sections is increasing the volume of the music in the moments of transition from one part to the other. Introduction: since this is the place where you create the desire to see the video. Closing: because this is where you have to try to encourage the viewer to interact with the video. : since this is the place where you create the desire to see the video. A technique widely used in the closures and that really generates many results is to finish the videos abruptly, because in this way the visitor is surprised, his attention is captured and the desire for more is created. Another aspect to take into account when choosing one music or another for your vlog is your target. Depending on the characteristics of your target audience (geographical location, age, interests… data that Youtube gives you on its Analytics page) you will be able to intuit which type of music is the most liked and, therefore, which musical genre is the most likely to make them feel more comfortable and identified. You’ll need to look at the analytical results of your videos to see which region your videos are most viewed in, which age is predominant, and so on. If your video uses a lot of voice-overs, you should be very careful, as choosing a piece of particular music can cause human voices to be confused with the sound of instruments. To avoid such problems it is highly recommended to choose simple melodies or repetitive chord progressions. In this way, you will be able to increase the volume of the music and, consequently, its importance, which will go hand in hand with the voice-over. If you want to transmit power and force to the voice-over, ideally you should opt for melodies played by low-frequency instruments. High frequency: happiness, simplicity, ease (guitars, ukuleles, pianos, trumpets…). Low frequency: power, strength (bass, cellos, drums…). As far as the rhythm of the music is concerned, it is very important that it be constant since, in this way when pausing in the music, a visual element or a particular moment of the video can be highlighted. However, this technique should not be abused too much, as it may then lose its effectiveness. Depending on whether you have a higher or lower budget, you can opt for more or less expensive music retrieval systems. If in your case you have a high budget, you could even hire a composer to create a single song exclusively for your video. This option would be recommended if you want to create a strong brand image for your vlog, thus cohesive all the videos with the same music in the introduction. This article has made clear the importance of music in vlogs. And it is that sincerely right now it is impossible for me to think of any quality video that is triumphant and that is not using this musical element. It is also true that this sound aspect is somewhat complicated to handle, however, if you pay attention to the recommendations I have given you and you get the music from platforms like Epidemic Sound or Envato Elements, you will not have any problem in creating spectacular videos. The more you take care of all the details, the more likely you are to increase your audience and earn more money! What music do Youtubers use? How to Choose the Best Music for Your Video Projects? What is music without copyright or royalty-free music? How to see if a song is Copyrighted? How to sell my music? Need help finding the right service? Send us an explanation of your project or Youtube channel and we will recommend the music service that best suits your needs. Let us do the work! You also can reach our team by sending us a message through any social media channel.